We took this picture recently from the terrace of our house. Don’t freak out, the twins are not yet shoulder height (they are 6years old). But they are fairly tall for their age. Click on the picture to enlarge. This year, I will be extra lazy during the holiday season. So no more Excel tips until first week of January 2016. Of course, there will be some usual suspects around this time of year. Here is what you can expect. Our Excel forum will be up and running during the holiday season. That said, I would not expect quick help for any problems as most of our regular members would be away on holiday break. You have higher chance of getting TRUE for RAND()-RAND()=0 than finding someone to answer your Excel question during next few days. So be patient and enjoy the holidays. Our online store will be open. Any purchase you make for training programs, templates or eBooks will be delivered as promised. If you join our course on Christmas eve or day or on new year day, please expect to receive your password by the end of next working day. If you have any support query, please expect to hear a resolution by 7th of January. If you are sending me an email, please expect a reply only after 7th of Jan. If you have something urgent to say, you can call me (find my number on the site). On behalf of my family, our staff, volunteers and well wishers, let me wish you a very pleasant holiday season and an awesome start to 2016. PS: Here is a snow flake made in Excel to cheer you up during the holidays. Merry Christmas and a Happy New Year Chandoo and my 'excel'lent kin. 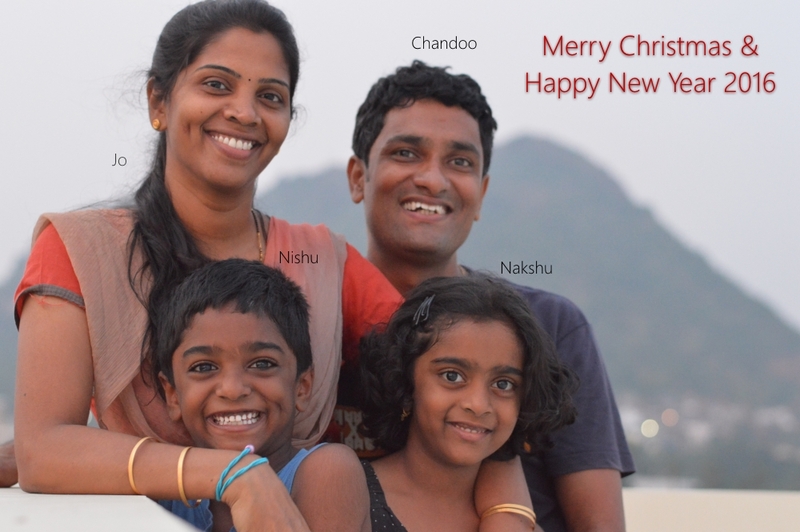 Merry Christmas and a Happy New Year to Chandoo, his family, friends and readers! After getting inspired from you, I too have tried preparing a Christmas tree lights using Graphs and VBA. Though its not as awesome you build but I am learning from you. A very happy Christmas and New Year to you and your family, Chandoo! Wishing you even more awesomeness in 2016! Wish you a bright new year. Merry Christmas to you too Chandoo and to all of the people who help make your truly awesome site what it is. May we all have a spectacularly great 2016! Merry Christmas & Happy New Year. God Bless Your Family. Hope to have the chance to meet you again in 2016. Thanks very much for the posting on this website. I saw it by chance when I prepared the Excel training for my colleagues and then I found sooooo many useful tips in this website. This is not a belated Happy New Year coz' the Chinese new year is just coming! I want to thank you for the fantastic skill i learned in Excel just by visiting your site, i started way back years ago and get your regular post in my mail. Since then, i made my own interactive dashboard that everyone thinks awesome, but i'm sure needs a lot of work by your standards. I've also gotten people to be interested and learn Excel and create their own dashboards. I use it 24/7 for work! We all love you (and your AWESOME family), Chandoo. We're all a small part of your 'extended' family - around the globe!